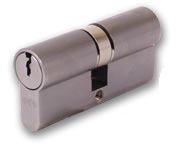 Cylinder locks are now common place in homes and commercial properties as they offer a versatile and simple locking solution with almost endless size and colour variations. 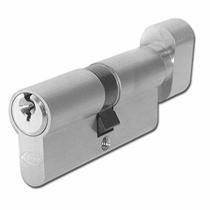 Cylinder and barrel locks are also very easy to replace, with just one or two screws holding the lock in position, but how do you know which cylinder to order when replacing like for like? 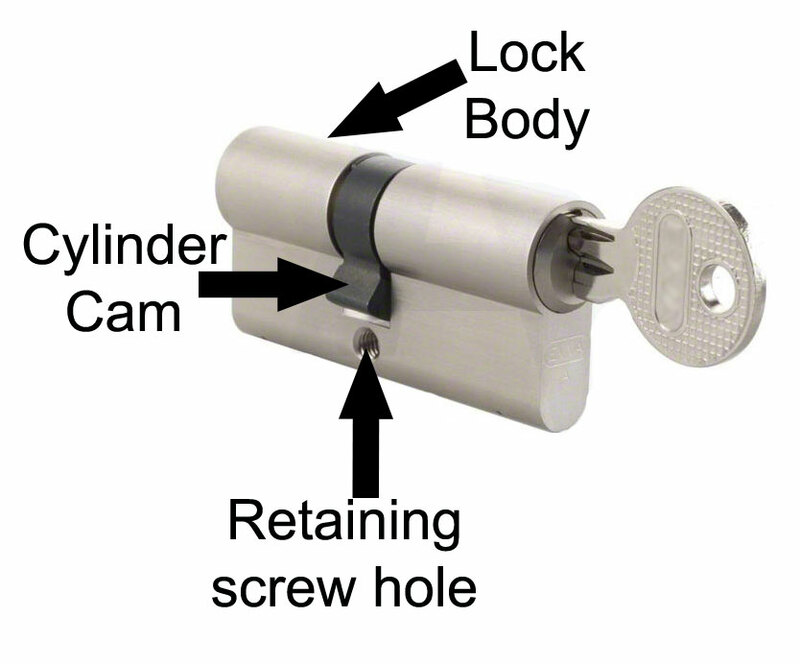 First lets look at a few features and parts of the standard cylinder lock. 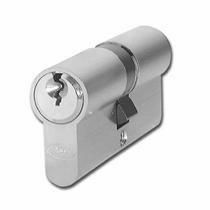 Cylinder are nice and easy to remove from a door, the only tools required is a cross head screw driver and the key. Firstly we need to locate and remove the cylinder retaining screw, this is found on the edge of the door in line with the bottom of the cylinder, sometime a lock faceplate covers the screw, if this is the case the faceplate will need to be removed. 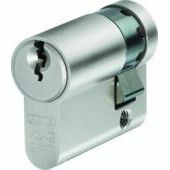 Once the retaining screw has been removed the cylinder can be withdraw from the lock case, however for security the key has to be used. Insert the key in the normal way, then twist the key left or right whilst gently pulling on the cylinder to remove, the cam needs to be lined up with the lock body to allow the cylinder to be removed from the door. Firstly we need to determine the profile (shape) of the cylinder required, here we have 2 standard options, either Euro or Oval. These are easy to tell apart, as the name suggest an Oval cylinder is oval in shape, a euro cylinder has a round top with a smaller oval shape underneath. Now here comes the slightly harder but very important part, measuring the cylinder! 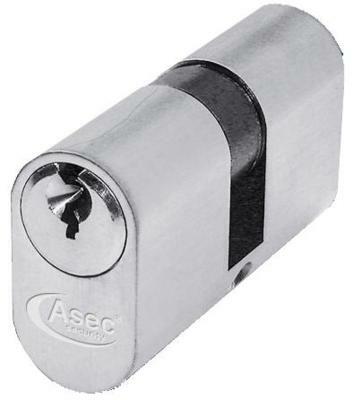 Place the cylinder on a flat surface, measure the full length of the cylinder, this is just the main body of the lock, do not include the thumb-turn if there is one. Now we have the overall length of the cylinder we also need to get the split, this is the distance from the front of the cylinder to the middle of the retaining screw and another measurement from the middle of the retaining screw to the rear of the cylinder lock. You will now have 3 measurements, and if you have measured correctly the split number will add up to the same as the overall length, for example overall length of 70mm with a 35/35 split. Most cylinder will have an equal split, but some will have an off set size, where the retaining screw is closer to the front or rear of the cylinder. If you have any questions about cylinder locks or the type of cylinder you require, please do not hesitate to give our sales team a call.